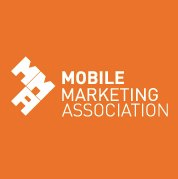 Here in our blog, we often report that mobile is strongly trending upward, but a recent study by the Mobile Marketing Association references some figures that have even us surprised. Mobile marketing currently contributes about $140 billion to the U.S. economy. The MMA projects that this figure will now grow to about $400 billion by 2015. That’s 50% annual growth! In a time when interest rates on the average savings account don’t crack 1% annually, that’s a pretty amazing projection. Mobile marketing is also expected to add over a million much-needed jobs in the U.S. over the next five years. Roughly $6.7 billion in this market is spent on mobile marketing, and this is projected to increase to $19.8 billion by 2015. Most of it is spent on mobile ads and mobile CRM solutions, and about half of it is spent by three industries: finance, retail, and manufacturing. While this is good news for mobile ad platforms, it also indicates that businesses are seeing worthwhile returns from mobile marketing activities. Interestingly, this spending is not yet subject to diminishing returns. That is, the more you spend, the more you get back, in general. This point of difference means that mobile media is truly perceived differently than traditional media, and is subject to its own laws of cost effectiveness. That’s great. But how can my business grow using mobile? • Apps are customizable. Mobile apps can be built to your specifications, and so they can be tailored to fit any concept that makes sense for your business, no matter how simple or complex. • Apps provide a smoother user experience. While mobile sites have to compromise to work across numerous devices, an app can be perfectly designed to work on the device on which it is downloaded. • Apps are more robust. Apps have access to all of a device’s features (GPS location, accelerometer, and more), so the advanced technology in today’s devices doesn’t go to waste. • Apps provide a better connection to users. Using push notifications with offers, and other messages that keep people engaged with your business, you can create a stronger bond with your users. Mobile continues to be one of the strongest, fastest-growing trends. For businesses looking to grow, mobile apps are a perfect match. With built-in mobile activity increases projected to pour in for years to come, those who invest in mobile now will likely gain a significant edge on the competition.